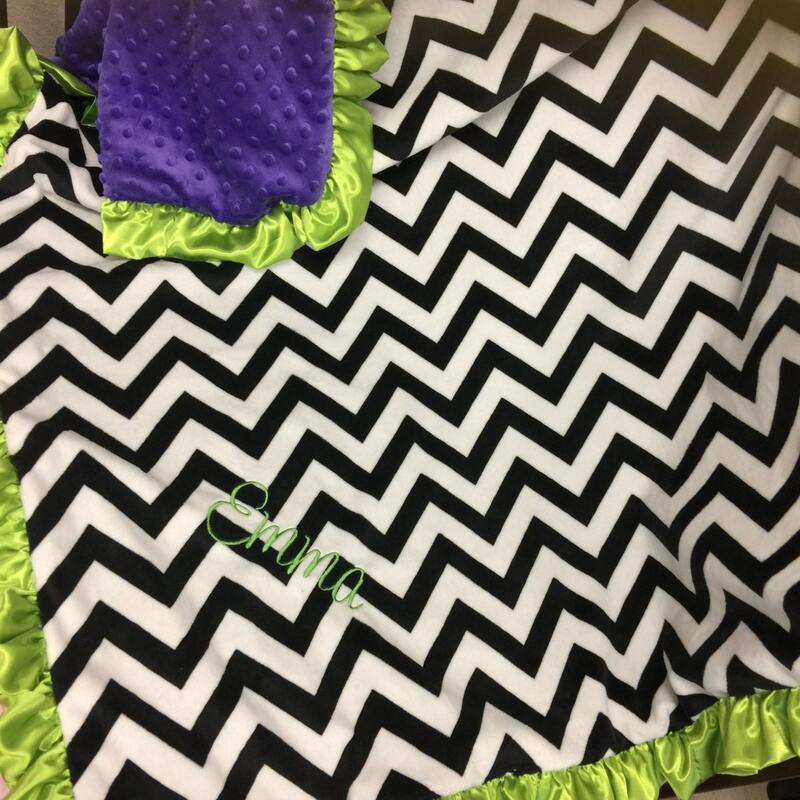 This luxurious minky blanket come with black and white minky chevron on top, your color choice of minky dot on the bottom, and your choice of satin ruffle. This blanket is available in several sizes. 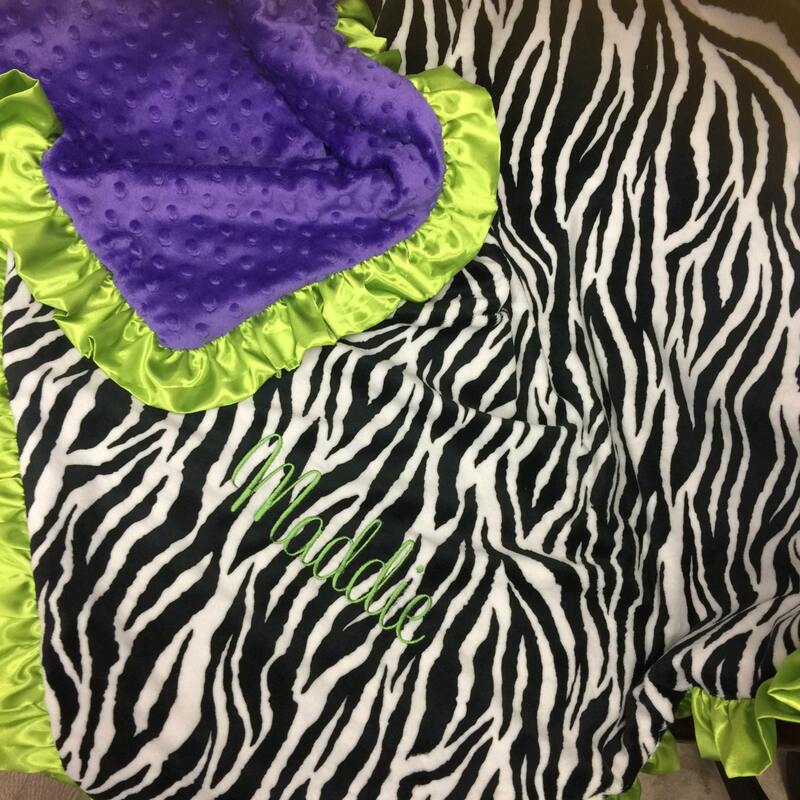 This blanket is made to order. Please allow 5 business days for item to ship. 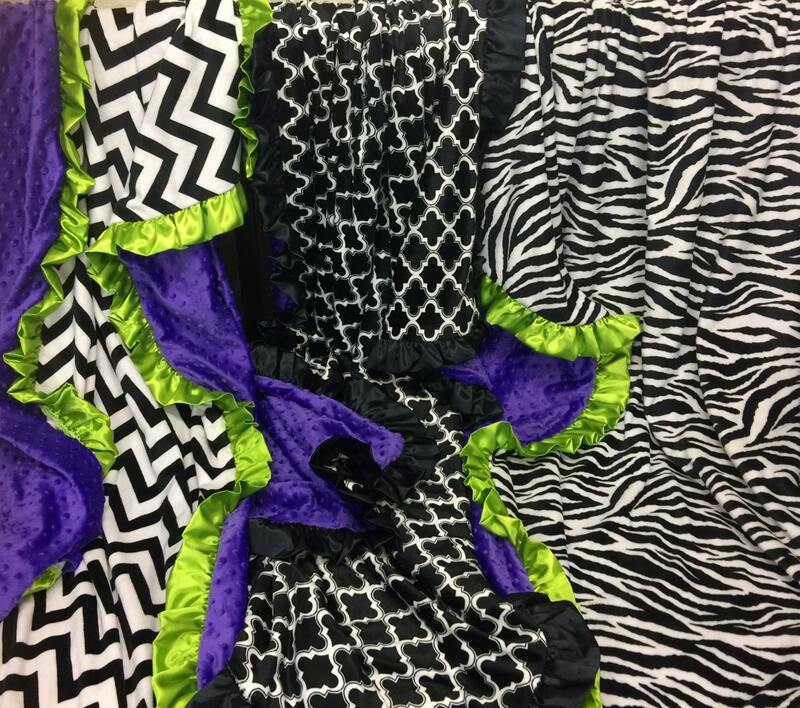 If 50x60 or 60x72 blanket is purchased, an additional $5.40 shipping fee is required.